March 26, 2008 -- Arkansas State University in Jonesboro will present an all-day opera/musical theatre workshop with Dr. Pamelia Phillips o f New York University’s Tisch School of the Arts on Saturday, April 5, in the Fine Arts Center Recital Hall, 114 South Caraway Road, Jonesboro. 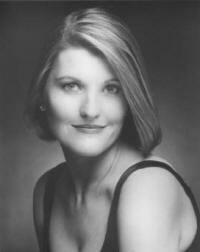 The all-day workshop with Dr. Pamelia Phillips is sponsored by the Department of Music’s Opera Production program. The workshop is free to the public but seating is limited. Area drama and vocal teachers are encouraged to attend and bring interested students. The workshop will begin at 9:30 a.m. with the discussion of Dr. Phillips’ book, "Singing for Dummies" and continue with a session, “Establishing Musical Theatre in a Foreign Country,” followed by selected student solo performances. The afternoon session will begin at 1:30 p.m. with a session on "The Do's and Don'ts of Auditioning,” including a question-and-answer session with audience participation. The workshop will end with a variety of group performances to be staged by Dr. Phillips. Dr. Pamelia Phillips is chair of the department of voice and music in the Collaborative Arts Project for the 21st Century (CAP 21) musical theatre training conservatory, Tisch School of the Arts, Undergraduate Drama Department, New York University. Dr. Phillips received her doctor of musical arts degree in vocal performance from Arizona State University, where she also earned the master of music in vocal performance. She earned her bachelor of music education degree from ASU and was a student of Julia Lansford. Her performances range from contemporary American opera premieres to guest performances with major symphonies. Roles include title roles in “Carmen,” “The Tragedy of Carmen,” and “Lizzie Borden”, the Witch in “Hansel and Gretel,” Giulietta in “Tales of Hoffmann,” Dorabella in “Cosi fan Tutte,” Mum in “Albert Herring,” Constance in the world premiere of “She Stoops To Conquer,” Lady with a Hat Box in “Garden Of Mystery,” and Mrs. Cornett in “Tobermory.” Phillips has also appeared in staged performances of “From the Diary of Virginia Woolf,” as Gloria Thorpe in “Damn Yankees,” as Gymnasia in “Forum,” as a liebeslieder singer in “A Little Night Music,” and as Lady Thiang in “The King and I.” Symphonic performances include Berlioz’ “Le Mort de Cleopatra” with the Bronx Symphony, Mahler's “Fourth Symphony” with the Centre Symphony, “Das Lied von der Erde” and Mahler's “Third Symphony” with the New York Symphonic Arts Ensemble. She has appeared as a guest artist with the Phoenix Chamber Symphony, the South Texas Symphony, the Scottsdale Fine Arts Orchestra, and the National Chorale. Dr. Phillips is the author of the 2003 Wiley publication "Singing for Dummies" and is currently writing her second book. She has taught at Wagner College, Arizona State University, Scottsdale Community College, and South Mountain Community College. During the workshop, Dr. Phillips will work with university students from the Department of Music’s opera production class and with students from the Department of Theatre’s musical theatre classes. The workshop will encompass the roles of operatic and musical theatre soloists as well as focus on ensemble presentations. For more information, call Julia Lansford, (870) 972-3801, or ASU’s Department of Music at (870) 972-2094.